'Robbie' feels a little robbed by Rossi. 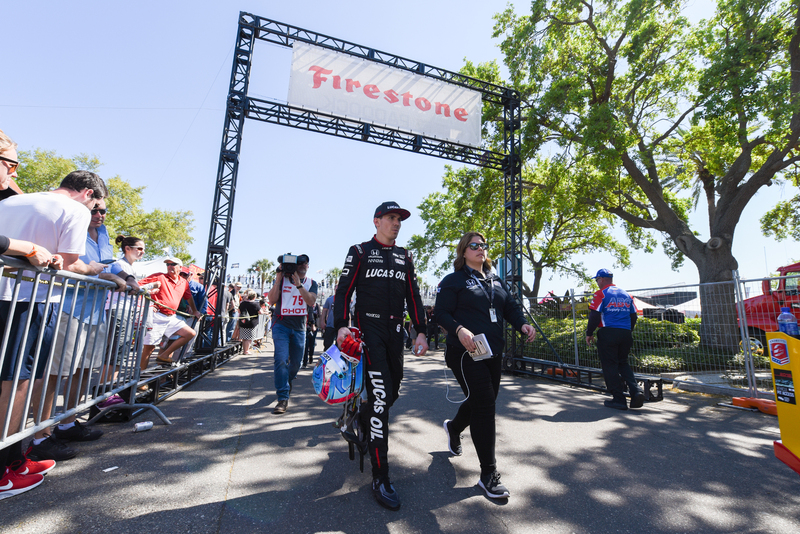 IndyCar-newcomer Robert Wickens looked set for a shock victory in his debut race in the series, controlling the St. Petersburg GP from pole until Andretti Autosport's Alexander Rossi slid into him on the second-to-last lap, following a confusing safety car restart. Ending up stranded at the first corner while Sébastien Bourdais went on to win the race, Wickens was left to rue both. "It was all a little bit confusing because I was told we were going green, but they didn't turn the lights off the pace car, so I didn't get the best restart I could have done", said Wickens, referring to the race going back to green on lap 108 of 110 with Rossi getting a good run on the Canadian. Moving up on the inside, on the marbles, Rossi lost it and hit Wickens, and the two have different takes on the incident. "I defended a little bit, but then I realized if I went any further, it would have been blocking, so I opened up, let him have the inside and just broke as late as possible and gave him enough space on the inside. And from my point of view, he broke too late, the track was too dirty off-line", Wickens told Racer. Rossi, for his part, argued the Schmidt Peterson Motorsport racer gave him little choice in both sending it up the inside and then hanging it out there. "I made the pop. He defended the position, which he has the right to do, but in doing so, in moving the reaction, he put me into the marbles pretty late into the corner." Emphasizing the difficulty drivers had been having all weekend in slowing down their new, low-downforce cars and finding grip in turn 1 in particular, Rossi chalked the incident up as "super unfortunate" and admitted he felt bad. "Because I feel like I could have won and he could have gotten second. You never want to see that happen", the 2016 Indy 500-winner said of the collision. Rossi wasn't left empty-handed, however, still coming home third—and without penalty for the contact, which Wickens called "kind of interesting." 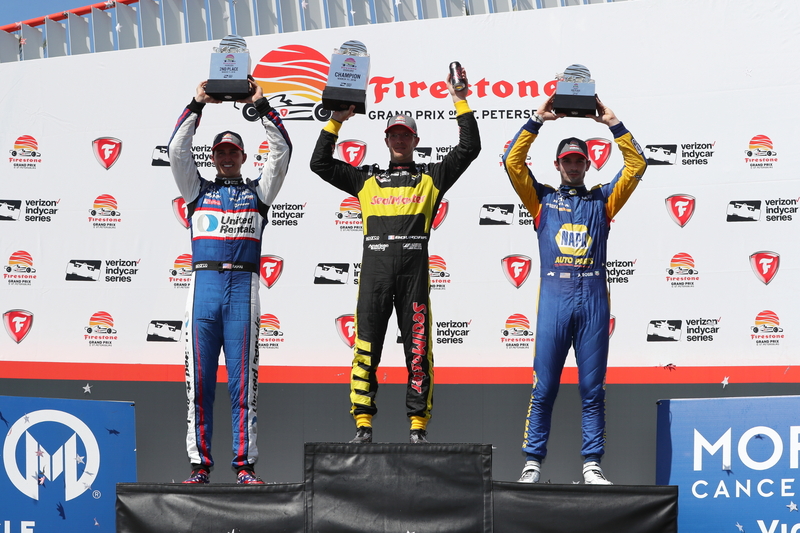 Wickens left St. Petersburg disappointed because he would've been happy just coming home second ("which is why I didn't fight him [Rossi] that hard and gave him space on the inside") but proud as well, having claimed pole and led for 69 laps on his debut.